By Stefania Rudd. 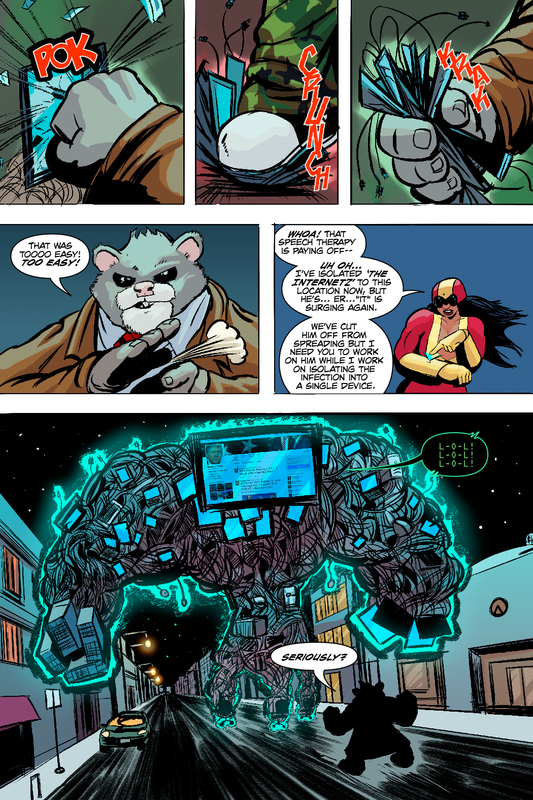 Its tagline is “The World’s Weirdest Web-Comic!” When you scroll through the pages of Hamster Rage by Chicago cartoonist Brian J. Crowley, it’s easy enough to understand why. First, there’s Roosevelt. 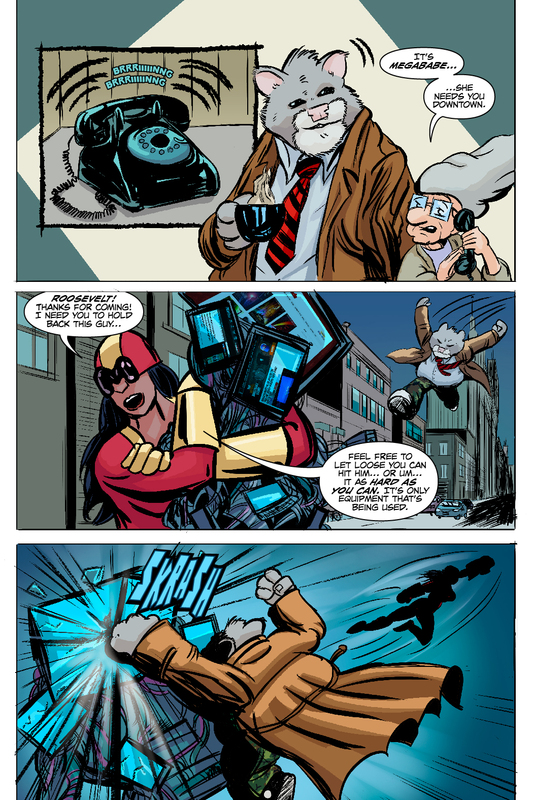 Decked out in camouflage pants, a trenchcoat, and his trademark striped tie, Roosevelt struts about his own comic book as the hero Chicago never knew it needed. He tosses around baddies (with monikers like Halloween Man, Mr. Hell, and MegaBabe, among others) like so much Saturday morning fodder. That’s plenty weird all right, but it’s weird in a recognizable and accessible way. It’s just goofy enough to work. In fact, the entire premise is designed to be adorable and peculiar, just like a family pet. “I wanted to make a monster character in more of the classic Hulk vein — that of a misunderstood monster that creates chaos,” Crowley tells us in an email interview. 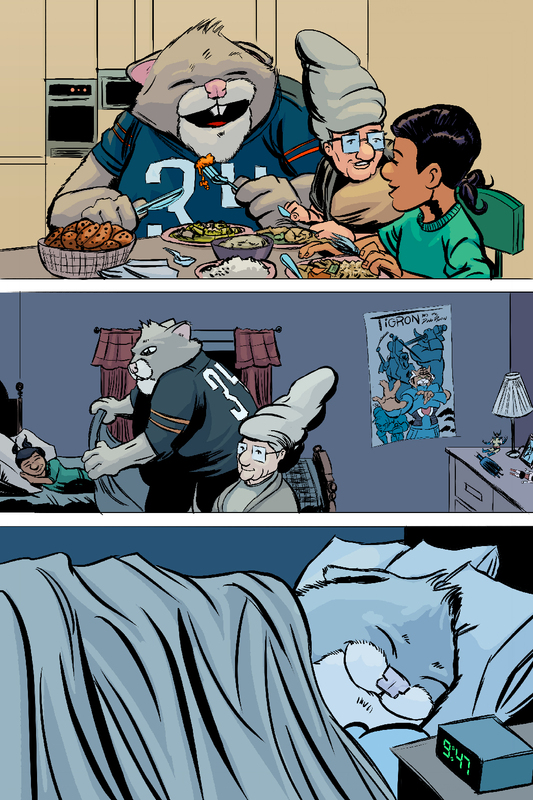 “I also wanted the monster to be cuddly.” “Cuddly” is definitely one way to describe Roosevelt, your new favorite hero. 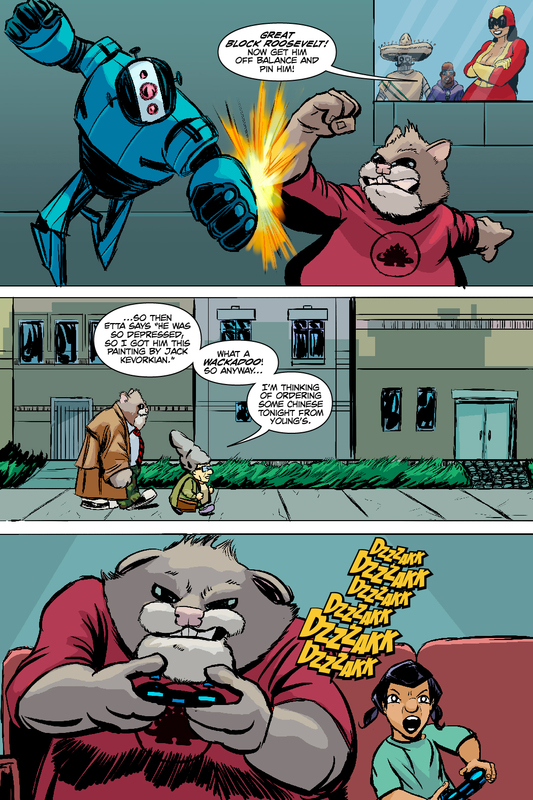 Brian J. Crowley took time out of his schedule to speak with DoomRocket contributing writer Stefania Rudd about internet trolls, how wonderful pets actually are, and the genesis of his instantly iconic creation, Hamster Rage. 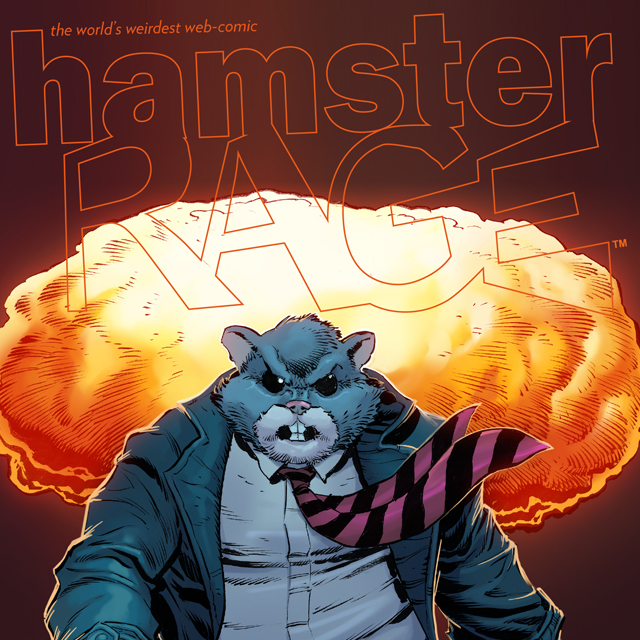 Cover to ‘Hamster Rage’. Art by Jim Terry and Wesley Wong. 1. It’s a pretty wild concept, having your childhood pet reenter your life as an adult only to kind of take it over. How did you come up with this idea? Brian J. Crowley: I wanted to make a monster character in more of the classic Hulk vein — that of a misunderstood monster that creates chaos. I also wanted the monster to be cuddly. So then I started thinking about how death is at the core of every superhero. Someone dies, that causes trauma… they escape the trauma by putting on a costume and vowing to do good. Yet when they have pets it’s always a version of them in a cape or mask. I combined those two ideas. What if the death of your pet was part of the origin of your powers? What if when the pet returned… it was as a “sibling” instead of as a pet? The relationship would be like the previous relationship. Not subservient. Then for the design I had this tiger character from childhood named Tigron. Tough monster characters seemed trite. I wanted the monster to be vulnerable and comedic, so I merged him with this cartoony hamster character and ended up with the design for Roosevelt. I also thought of the fact that an animal would have no sense of fashion and that lead to the “costume”. 2. 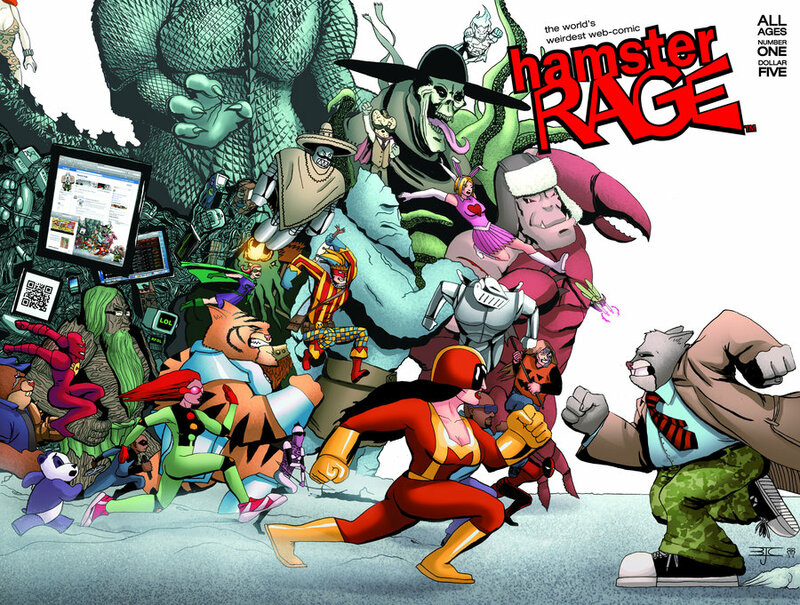 ‘Hamster Rage’ has a very vivid cast of characters. How did you go about conceptualizing them? Are they inspired by people you know? BJC: I started with the first goal — I want to write people who aren’t me. They might share some of my values here and there but their life experience is different from mine. There is definitely a merge between family, friends, genre characters, and real people. Shayna’s name comes from my niece, but she doesn’t behave the way my niece did at that age. Gram Gram’s name is a merge of my grandmothers names. I have stolen a few lines and some attitude from my grandmother. That said there aren’t any real one to ones. There are many lines I heard on the CTA or at a restaurant that I had to use in Hamster Rage. 3. What’s one thing you had to learn the hard way while creating your own project? BJC: I wish there was only one thing. Breaking the big stories into small stories has been the best thing I’ve done and will continue to do. Paolo Rivera recently posted about it. Plotting out the epics is cool, but completing the five-page stories is the best! 4. When did you first get interested in comics and decide creating comics was something you wanted to do? BJC: I was always interested in drawing and my uncle is an illustrator so that lead me in the direction a bit. Teenage Mutant Ninja Turtles hit me at the right time. I remember seeing on TV that it was two young guys who made TMNT. Around the same time I picked up Wizard and read about the formation of Image. That was inspiring and remains inspiring. 5. What outside of comics inspires your work? BJC: Well, music is a big influence which is why in the trade I listed a soundtrack. My taste goes all over the place and I tried to make that interesting. Wes Anderson movies are also a pretty big inspiration. The Royal Tenenbaums is one of my favorite movies. I would say that the biggest thing right now is everything going on in the world. I wrote about all the trolling and harassment because I saw too many friends have to deal with that crap. One friend dealt with harassment for saying “I’m going to Woman’s March.” Another because she’s an attractive woman who works in technology. It’s grotesque and it’s something we all have to fight against. Now we’ve elected the king of harassment and trolling as President. Which is terrifying. 6. How do you keep yourself motivated? BJC: I like drawing… and I like drawing my characters so both help propel each other. When I get stuck I draw fan pieces of Superman, Hellboy, Spider-Man or TMNT to shake out the cobwebs. I also look at some of my peers and people I look up too for inspiration. Art by Walt Simonson, Mike Mignola, Amanda Conner, Doc Shaner and Darwyn Cooke helps. 7. In Chicago, where you reside, there is a great community and camaraderie between those in the comic book industry. What are those relationships like and how do you all influence each other’s work? BJC: I don’t know how much we influence each other’s work. I’ve definitely learned from guys like Tim Seeley, Jim Terry, Hilary Barta, Mike Norton and many others. Stuff like storytelling tricks, inking, and inspiration from their incredible work ethic. It’s great to have people to run through ideas with. Commiserate about day jobs, the work, conventions, and joys and pains of collaborating. It’s crazy to think that most of the people have attended Drink ‘N’ Draw for more than a decade. It’s a big family and has all the ups and downs of any family. What’s great is when one of our own is in trouble we all rally. In many ways it’s a support group. 8. 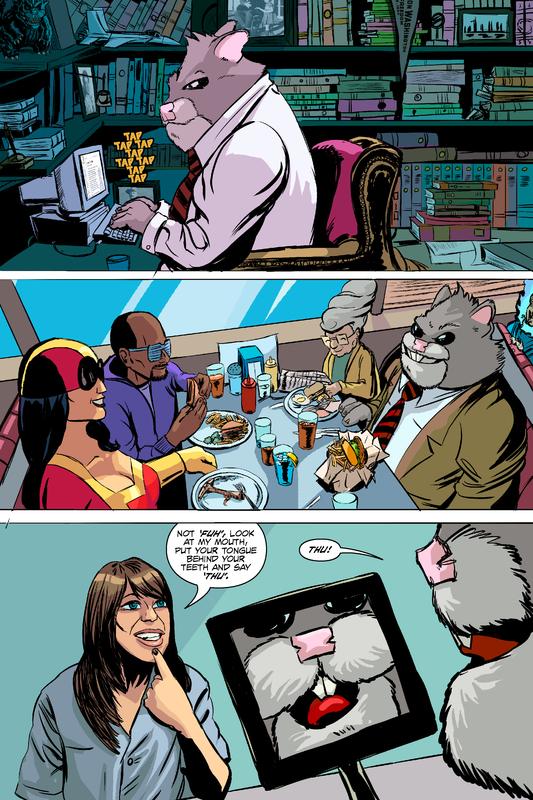 What is one piece of advice you would give to someone who wants to start their own comic? BJC: Find your support group! You can’t do everything holed up by yourself. Find partners and work together and then start posting it now. Warts and all. Embrace failure! I had several failures before getting some good reception for Hamster Rage! I’ve grown a lot as an artist — you will too! Working with others is a marketable skill and will help in every aspect of your life. 9. Con season is about to begin. What is the weirdest thing that’s ever happened to you at a con? BJC: There are always awkward moments. Countless times I’ve stepped away from the table and once I return some guy is running away. Why? He’s disappointed the creator is a large bearded dude and not my wife. Before I could respond back my wife had already agreed. In my head that’s a nightmare, but then I did the best I could with it and to my surprise they loved it. 10. Do you have any childhood pets you wish would come back into your life? If so, which pet and why? BJC: Even though the book is Hamster Rage, hamsters don’t live very long. So they’d be out. My wife always sees me turn into a child when I see a black dog that looks like my childhood dog, Pepsi. Yet I don’t remember how she was as a dog. So I’m not sure that would be good choice. So I’d go with our beagle named Molly — that was a wonderful dog. I’d wish that one back for my dad and my stepmom. 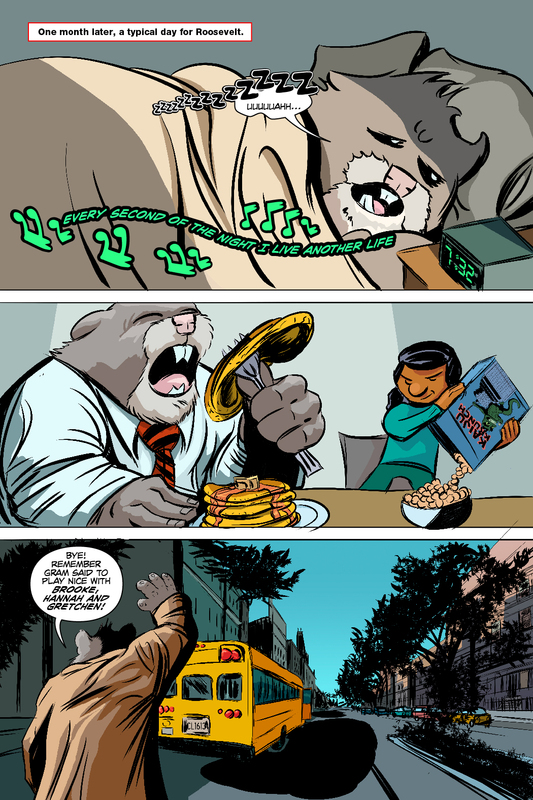 ‘Hamster Rage’ #3 and #4 will be on comixology soon. Issues #1 and #2 are available now! The Kickstarter will be launching soon! You can read ‘Hamster Rage’ online right now at HamsterRage.com.